Walking, Way Overrated: CRAIG'S QUCKIE XTENDER WHEELS UPDATE: Good News Today! CRAIG'S QUCKIE XTENDER WHEELS UPDATE: Good News Today! It's April 28, 2016 and just as we mentioned a few days ago, Sunrise Medical returned Craig's 2nd set of Xtender wheels yesterday morning - motors replaced and checked over, we were told, they are now reinstalled. Upon arrival of the wheels, we inspected them, the dealer and technician who installed them, looked too and the spokes do look pretty good. Not at all like the last 3rd set did. More than just us said the spokes were clearly improperly installed, which was a relief to know. Just hope the manufacturer sees the problem. Then no one in the future will have the same issue Craig did. No clicking SO Far!. Could it be true? Is it gone for ever, or until actual time wears out his wheels? We've been here before, and then....well, let's pray this is it. After all the replacements and such, we'll do what is right... trust God! Sorry, I just need to keep it real and share a few thoughts and questions. I'm wondering why they would change the motors when there was nothing wrong with them that we could tell. Based on what Craig had experienced, it made no sense. Because the Sunrise contact never mentioned the spokes or clicking issue, the very reason for the clicking, changing just the motors doesn't compute. But that's just my brain. In our opinion, in all 3 sets, the 3rd set for sure, broken. faulty installation of them was the issue for sure. (See the last few "Spoke Too Soon" articles). We are a tad nervous about trusting that that sound won't come back. When the troubles started, we recorded everything, to document it, but also so those technicians and even our dealer near by, could hopefully see and hear the problem and then it might help them all to problem solve. It's why everything from day one,was documented, especially that super happy first day of using his awesome new PA Wheels!! A great day! All documented, for those reasons and as a scrap book sort of for us, friends, family and anyone else interested in these wheels. Sharing with others we know and even those we don't know. Thinking they may inspire others to get them or recommend them to people they care about. Glad we have it all documented. Craig BEFORE Xtender Wheels. Now, he can do hills and ramps like a breeze! Even though the warranty runs out from the first day, Craig got the very first pair installed - meaning, May 20, 2016! That's only in three weeks! We've asked these kinds of questions to those places involved, but so far no answers. So I have to put this out "there..." Would someone, please explain to us, why his warranty would be all over based on wheel set number one, even though up until April 2016, he has been having the same problem after problem. It makes no sense... Right? And then a few weeks ago, after waiting and waiting to find out what Sunrise was going to do with Craig's breaking spokes/faulty spoke installation. 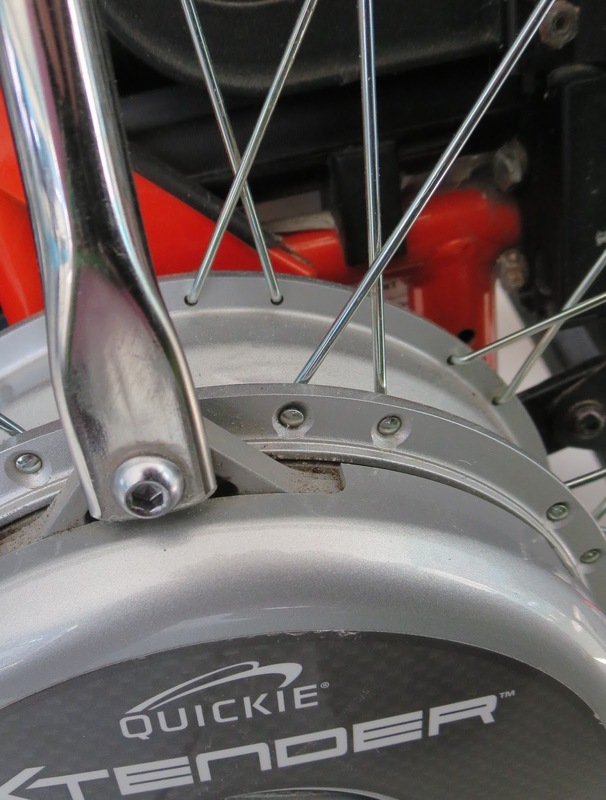 We were told the spokes were considered a wear and tear item (by our Twitter Quickie Sunrise person, who always tried to get the answers for us), we suddenly found out that because of that, they aren't covered under warranty. But that Sunrise was making an exception for Craig by sending 36 replacement spokes, for him to keep once the others were replaced, for future use. 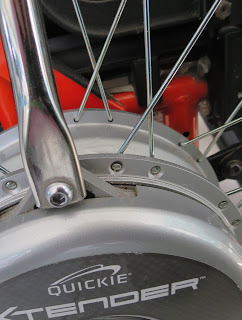 I asked them to find out how the company, can say that to Craig, when he discovered broken spokes on day one of using them, and then what about the 3 more that broke within days and weeks? No, he didn't get to wear and tear down the spokes. How can ones that are faulty from the beginning, be considered a wear and tear problem?? Discouraging. No answers have come so far about these questions. Sorry, I know all is fine at this moment, it's just going to take some time to trust that he will be keeping wheels that he paid for, assuming they will finally work well for more than a week or a whole year at least. Yes, I can be an over thinker. It's just after all I have witnessed and written about, it is a challenge to just trust that all of a sudden it will stay silent, spokes staying true and strong. I am sure all will be swell. :o) Good thing, I held back far more thoughts and questions, than I actually have, assuming it wasn't wise to just pour it all out there if it won't help Craig. Like we said before, he has a Quickie 2 wheelchair that is seven years old and no spoke has ever broken or bent, none! Including his previous 3 other Quickie 2's! Except when once, there was a hub recall, a recall! Something that maybe, should have been done with this particular series of Xtender wheels. Just a thought, Maybe there has been, we'll find out in time I suppose. Sunrise sounded like they wanted to take care of things. We'll trust that. So far so good. Communication, is so valuable to customer service with a company, they know that. When a customer makes a purchase, especially something that impacts your daily life, trust in that product and the company that makes it and sells it, is critical. If any questions or concerns arise about it and no one at the company seems to be listening to the customer, or communicates with you about it, that can cause some stress and fear. And if nothing changes, the anxiety snow balls along with fear of being stuck with a product that is faulty. Thankfully we believe this experience will end well. But we have to be open and forthright with people who ask us about how things have gone. We don't know about you, but when someone wants your opinion on a device or product that they are interested in, that you own, you take your words seriously. We are both VERY influenced by the advice and feedback of others. We have bought many products over life, because of what we discovered through research and the words of those we trust. Especially others like us. 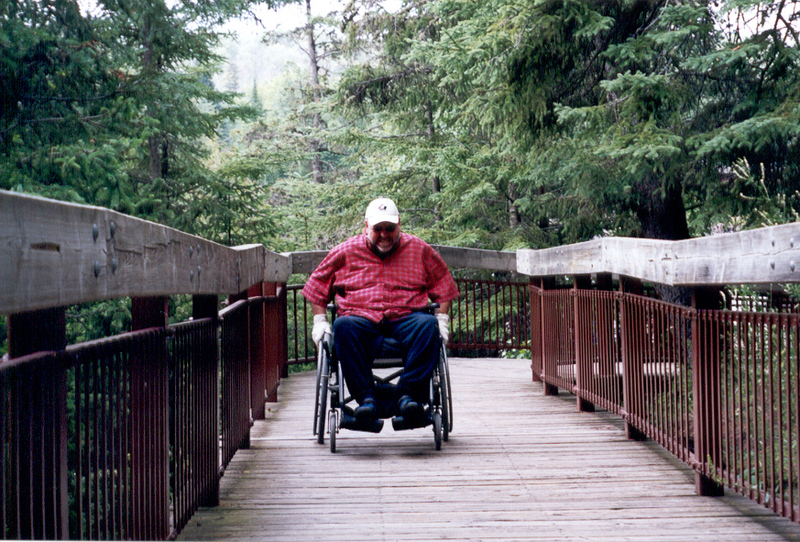 If a fellow wheelchair user has good things to say about say, their wheels, then we would be sold on their brand. Just like Craig's positive, raving words about his Xtender wheels actually have had people buying the same ones. Recently another friend mentioned that they suggested to a friend, they need Power Assist wheels. We had to tell them about our experience, but we both definitely say P.A. wheels are a valuable device to help anyone who is wanting to avoid long term pushing injuries. Or like Craig, get relief from injuries already sustained from half of a life, of using a manual chair. If something happens to you regarding a product you have bought from any where, disability related or not, we do contact the social media site for the company. We assumed when we did it, it was the right thing to do because that's when we heard something back quickly. They were wonderful and made out experience the best it could have been. The source company in the beginning, didn't responded to our first emails and calls, but since Social media for us got answers and consistent communication, we figured that must be the way to reach the source company. It helped a lot. to get help and reassurance. Thanks again to the work done through whoever is on the receiving end Quickie Twitter feed. Otherwise, the attempts at communication...well, let's not keep looking back. What matters is how this all ends! Of course our experience is just one out of many. Always research well. Don't go by one experience, that's up to you of course. We only can say the good with the not so good. Because I am truly exhausted trying to cover so many details,writing and making video, not wanting to miss anything incase it will help Craig and the companies problem solve or take action, and I am going to stop now, assuming all will be okay. And because the Bible talks about pushing ahead and not looking back, since Craig seems "taken care of" at this moment, my intent is to abide by that. To be quiet on the Xtender wheel warranty/clicking topic. Of course that is assuming all stays quiet and working well. Sharing the great times and other thoughts, will still happen at any time, because that is always more fun to do!! Besides, that's my husband, happy and positive. All I know is as of this moment, if we don't look back....Craig is out there in the world right now shopping. Using these super useful assist wheels that make his life much easier! Questions? Experiences? We'd love to hear from you. Comment below.